Every once in a while I come across a recipe that I think is worthy of sharing. Tonight was one of those times. 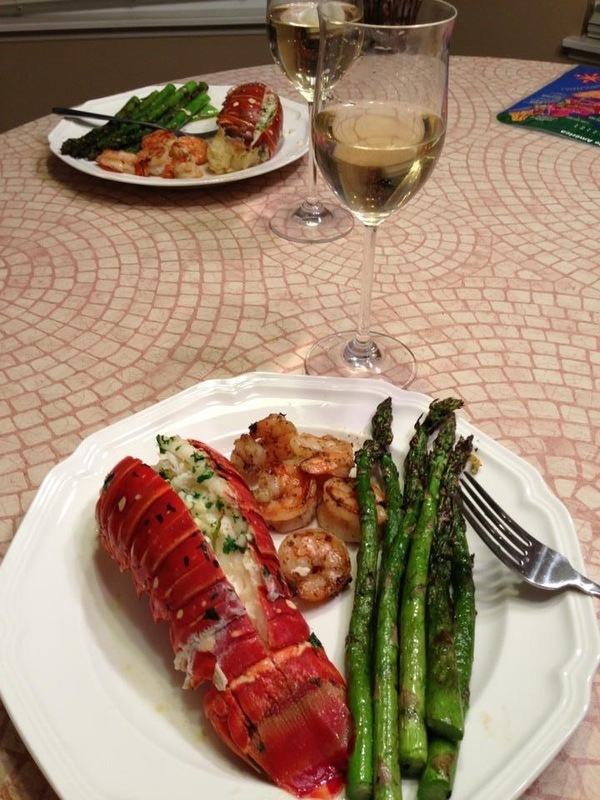 For a little pre Valentine’s Day celebration, my wife and I tried a recipe she came across for grilled lobster. Simple, clean and easy to make, we paired it with some grilled lime shrimp (one of our favorites) and added some grilled asparagus and wine for an absolutely fantastic dinner. Worthy of sharing, particularly since the recipe came from a blog titled… use real butter. Here is the grilled lobster recipe along with the grilled lime shrimp recipe from Food.com. Thanks for reading, have a delicious day! P.S. I have added the lobster and shrimp meals to my Recipes page for future reference.